Originally from a small town in Mid-America, Angela Strassheim has emerged as a powerful documenter of our nation’s culture. In her latest series of photographs on view at Andrea Meislin gallery in New York, Strassheim’s survey spans over ten years of “telling stories” with her camera lens. Her images see past the obvious and jar us with the portrayal of an alternate Americana. We are encouraged to overcome the routine and reassess the minutiae of our lives. 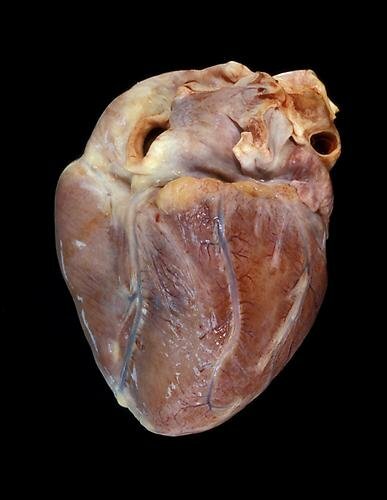 At the center of the show is a series of photographs of five hearts: posthumous, forensic portraits. 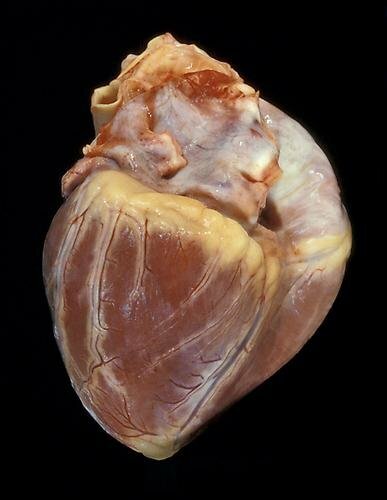 Each heart encapsulates the owner’s life; each image, the core of its story. 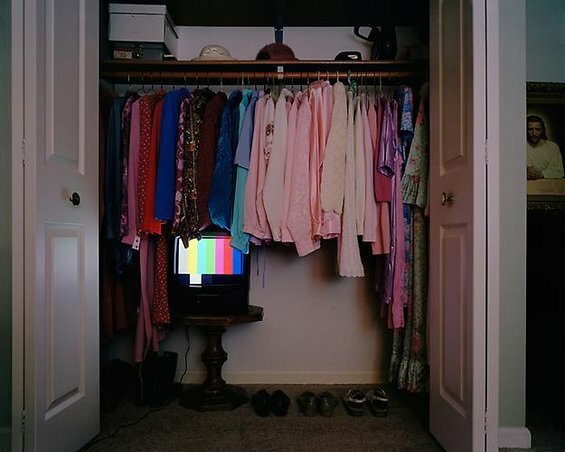 Angela Strassheim was born in Bloomfield, Iowa. She received a BFA from Minneapolis College of Arts and Design in 1995, and an MFA from Yale University in 2003. Also certified in forensic and biomedical photography, she worked as a forensic photographer in Miami, New York, and Richmond, VA for several years. Strassheim’s work is in the collections of the Art Institute of Chicago, the Aperture Foundation, the Israel Museum, Walker Art Center, Yale University, LACMA and many notable private collections. Fresh from the studio, Katia Santibanez has just completed this series of etchings, originally developed while at Poligrafa print shop in Barcelona. A four-month stay at L’Ile du Levant in the Gulf of Lion, France, inspired Katia to convey her experience with the diverse nature, architecture, and cultures of the island. Through etching on varnished plates, Katia’s intensely meticulous practice allows her to achieve incredibly fine detail. In total, this group of eight prints took a full year to complete--a clear indication of the artist's precise and laborious methods. I first discovered Lauren Semivan’s work while visiting the David Klein gallery in Birmingham, MI. 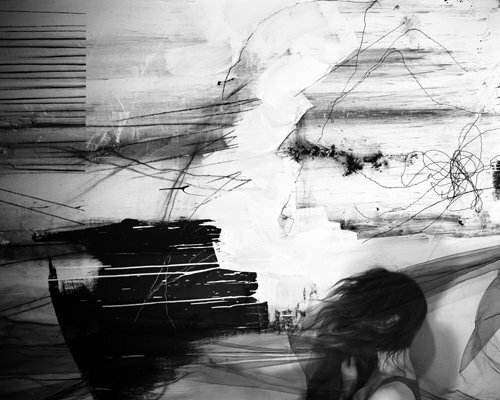 Her images are a collection of haunting black and white photographs that explore dream-like narratives using still life, drawing, painting and performance. Each photograph becomes a documentation of an imagined moment. Her images consist of staged sets and scenes designed entirely by Semivan and photographed in the traditions of both still life and portraiture. Calling to mind classic themes of memory and perception, the images are inviting, lush, and theatrical. Objects as diverse as books, furniture, boats, antique photographs, vegetation, and bones reoccur, as if clues to a larger story. The images express both a knowledge and wonder of one’s past and future possibilities. Semivan earned her Master of Fine Arts degree in photography from Cranbrook Academy of Art in Bloomfield Hills, MI. Her work has been exhibited internationally at the Xiang Sha Wan Art Palace, China, The Griffin Museum of Photography, Winchester, MA, Cranbrook Art Museum, Bloomfield Hills, MI, and the Cleveland Institute of Art, among others. 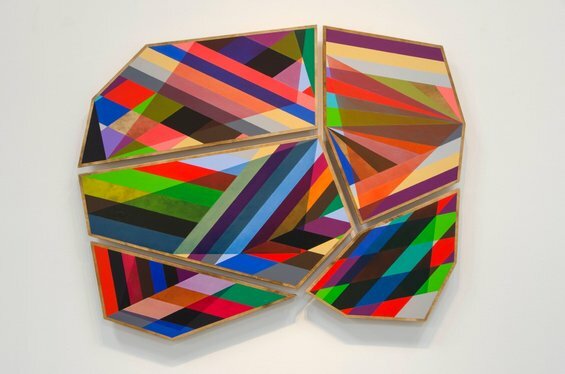 Showing at Fouladi Projects in San Francisco through November 2, Omar Chacon’s new works will his signature sculptural technique, filtered through the context of conceptual painting. Omar has taken an alchemist’s approach to art and has formulated a unique application of paint to surface. 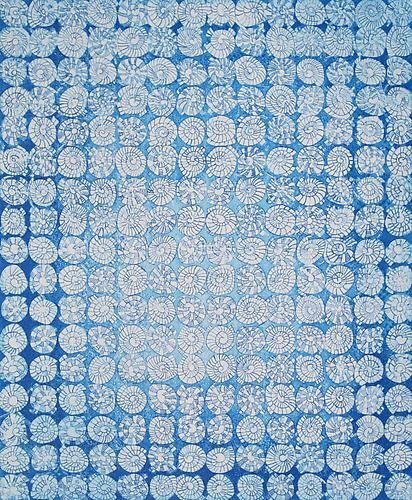 The result is pre-made brushstrokes, layered as drips or dots to create a dazzling display of abstraction reminiscent of traditional indigenous patterns and classical mosaics. Omar was born in Bogota, Colombia, received his MFA from the San Francisco Art Institute and currently lives and works in New York City. Eric Zener continues his fascination with water and the transformative quality of immersion. He believes that from conception, religious sacraments, cleansing, joy and our mesmerizing gaze at the horizon, we are connected to it. Water provides both an escape and a return. People often ask why he paints the bubbles. They represent letting go, dreams, memories and a return to the surface to be redistributed to the greater source. His new pieces have a romantic air to them, taking the work in a wonderful new direction. 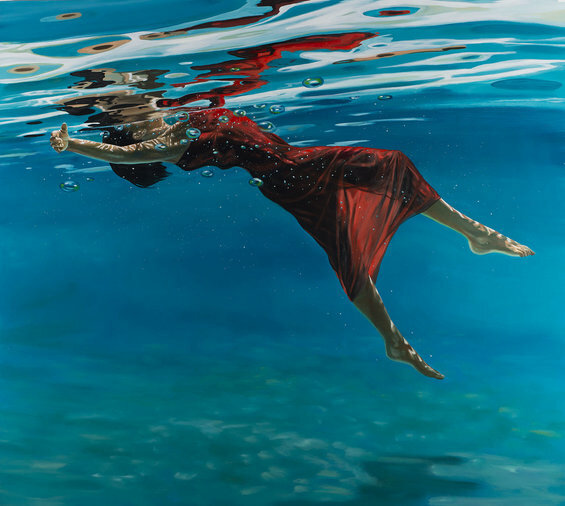 Eric Zener has exhibited in the United States, and internationally, for over 20 years. 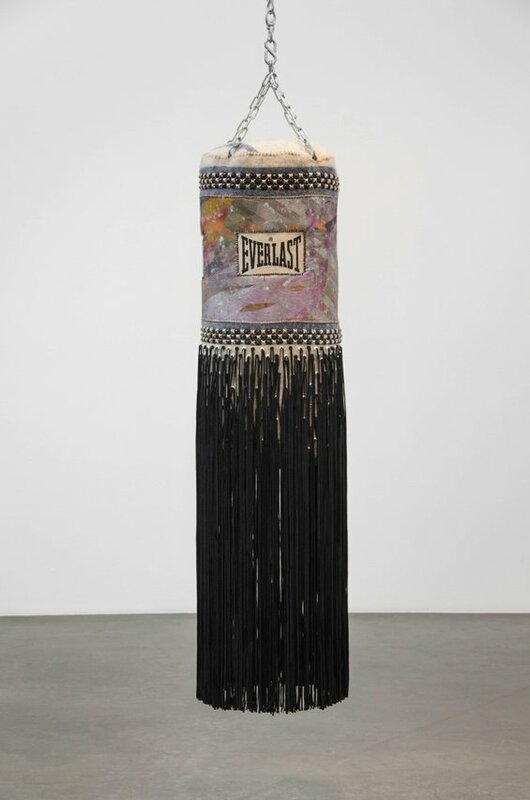 His solo exhibition history has largely been with his long-standing dealers in San Francisco and New York. Rosemarie Fiore uses the brightly colored smoke of live fireworks to create her vibrant and bold abstract compositions. In her new smoke paintings, Fiore introduces the use of rolling devices that she created to distribute the tinted smoke onto heavy paper. As the fireworks burn inside these machines, Fiore manipulates their movement, creating expressive and gestural compositions of gem-toned streaks and clouds. 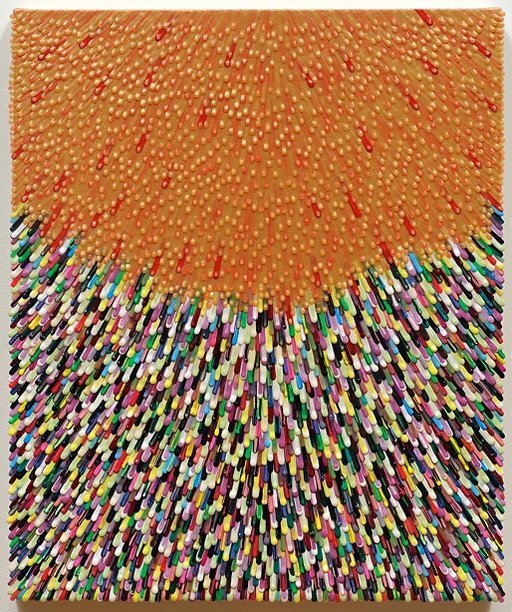 She sees the devices as paintbrushes that allow her to blend colors and move the burning smoke bombs across the surface of the work. 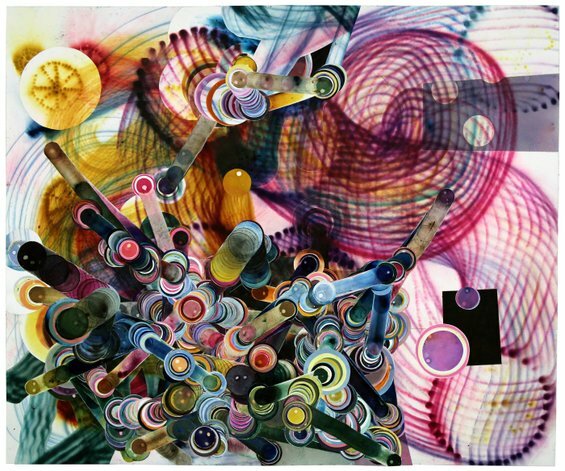 The second step of her process involves cutting and tearing the color-saturated paper into circles, arching bands, and radiating lines in order to create her sculptural surfaces. Fiore's technique is exciting and innovative while it balances chance and choice. Fiore lives and works in New York. She received her BA from the University of Virginia and MFA from the School of the Art Institute of Chicago. She has exhibited at The Bronx Museum, NY; The Weatherspoon Art Museum, NC; The Queens Museum of Art, NY; Socrates Sculpture Park, NY; The Roswell Museum, NM and The Franklin Institute of Science, Philadelphia.